A U.N. climate conference reached a hard-fought agreement Sunday on a far-reaching program meant to set a new course for the global fight against climate change. 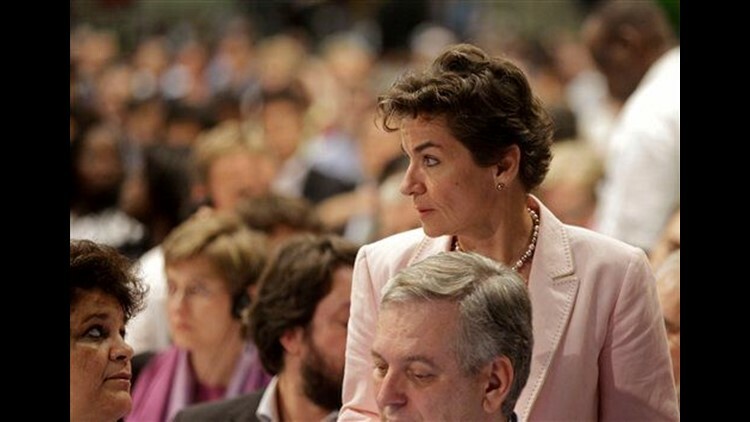 DURBAN, South Africa (AP) — A U.N. climate conference reached a hard-fought agreement Sunday on a far-reaching program meant to set a new course for the global fight against climate change. Currently, only industrial countries have legally binding emissions targets under the 1997 Kyoto Protocol. Those commitments expire next year, but they will be extended for at least another five years under the accord adopted Sunday — a key demand by developing countries seeking to preserve the only existing treaty regulating carbon emissions. Scientists say that unless those emissions — chiefly carbon dioxide from power generation and industry — level out and reverse within a few years, the Earth will be set on a possibly irreversible path of rising temperatures that lead to ever greater climate catastrophes.